The writings of the Church Fathers form a distinct body of literature that shaped the early church and built upon the doctrinal foundations of Christianity established within the New Testament. Christian literature in the period c.100-c.400 constitutes one of the most influential textual oeuvres of any religion. Written mainly in Greek, Latin and Syriac, Patristic literature emanated from all parts of the early Christian world and helped to extend its boundaries. The History offers a systematic account of that literature and its setting. 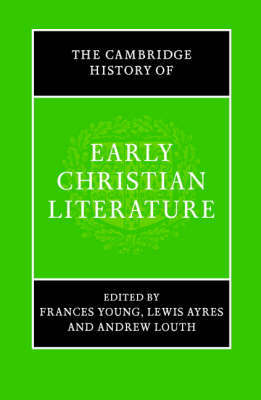 The works of individual writers in shaping the various genres of Christian literature is considered, alongside three general essays, covering distinct periods in the development of Christian literature, which survey the social, cultural and doctrinal context within which Christian literature arose and was used by Christians. This is a landmark reference book for scholars and students alike.